If there is something that has been done to death more than zombies and vampires, it would certainly have to be post-apocalyptic stories/themes/films/what-have-you. Truth be told, I’m a bit tired of it. Most of the time it’s just a rehash of the same old concept: mankind brings itself to the edge of extinction and must find a way out of it. 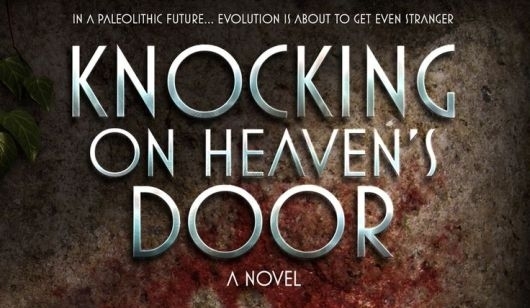 Oddly enough, that is part of the premise of Knocking On Heaven’s Door: A Novel. But the key word there is “part.” There’s a spin on this story that is unlike the others I have read. I liked it enough that I read it all in one sitting, an unusual feat since I normally read several books at any given time. Standing out from the average novel, I feel obliged to share my thoughts about it.